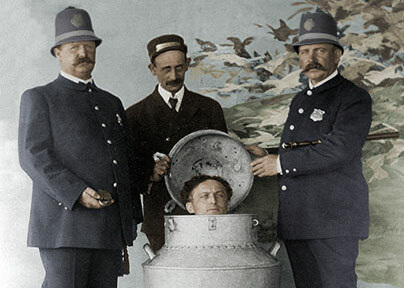 Visit the sites of of Melbourne where the worlds finest magicians performed such as Harry Houdini on his visit in 1910. Discover their tricks and illusions, locations of historic events and the history of Melbourne’s Magic shops. Learn about the personal histories of the great illusionists such as Harry Houdini, Harry Kelllar, Chung Ling Soon and Howard Thurston. 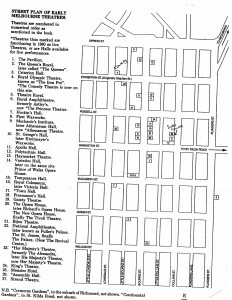 This walk is also a walking tour of Melbourne’s historic 19th century theatre locations. About our tours: Tours are usually 2 – 2.5 hours by arrangement at any time of your convenience any time – day time or evenings. Bookings: (03) 9090-7964, 0408 894 724; Email: melbwalks@gmail.com. Cost: $55 each up to 5 persons; $39 each for 6-10 persons; $25 each for 11 or more persons.